The Amstel BARBQ is what it says, a combination between a bar and a barbecue including a coolingbox to store some cold Amstel beers. 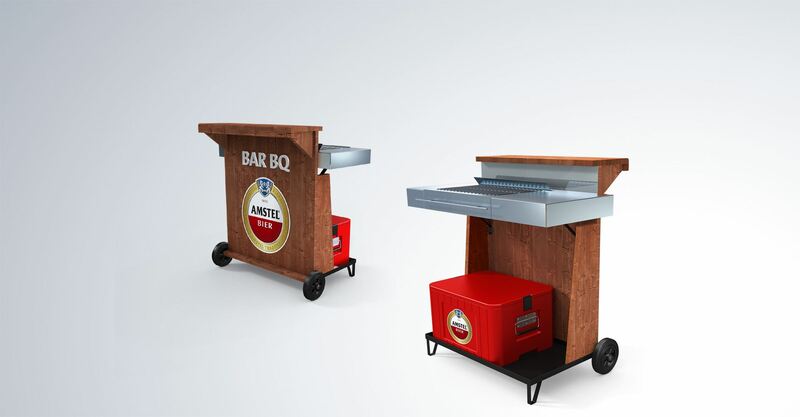 The Amstel BARBQ is specially developed for the marketing campaign where consumers can win this perect Men Gadget. Everyboday who sends there most funniest and Amstel beer related picture is in the contest of winning this product. Till the end of September 2012 everybody can compete with their picture in order to obtain the Amstel BARBQ.